The House Agriculture Committee voted 38-6 to repeal a country-of-origin labeling (COOL) law for beef, pork and poultry this week while leaving the requirements in place for lamb. This action came just two days after the World Trade Organization (WTO) ruled against parts of the law. The labels tell consumers where the meat is born, raised and slaughtered. 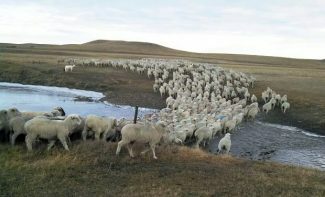 The WTO ruled May 18 that the U.S. labels put Canadian and Mexican livestock at a disadvantage. House Agriculture Committee Chairman Mike Conaway (Texas) has long backed the meat industry's call for repeal. Along with several of his colleagues, he introduced the legislation to repeal the labeling requirements hours after the WTO decision. He said the bill is a "targeted" response. The American Sheep Industry Association (ASI) responded to Conaway's introduction of the bill, H.R. 2393, with a letter of endorsement and appreciation for allowing the labeling of lamb to continue. ASI policy has strongly supported the required identification of lamb for nearly 25 years and lamb-promotion organizations have emphasized American lamb in national advertising since the 1960s. ASI Executive Director Peter Orwick applauded the Chairman's approach saying, "This is consistent with that of the Agriculture Committee leaders' debate on COOL during the Farm Bill nearly two years ago." All but six of the committee's Democrats supported the bill. Rep. Collin Peterson (Minn.), the panel's top Democrat and a longtime supporter of the labeling, was one of the few to vote against it. He said there is still time to find a "workable North American solution." On the Senate side, Senate Agriculture Committee Chairman Pat Roberts (Kan.) also has said he will move quickly to respond to the WTO ruling, but he has yet to introduce a bill.